Energy has been a hot topic of discussion for some time now, with the exhaustible use of renewable energy resources and the need to find alternate sources of energy to overcome the ever-increasing dependence on these energy sources. One of the main advantages in this struggle has been the rapid rate at which technology has been advancing. A wave of energy tech startups has come up with their innovative solutions that leverage the most advanced technologies to pave the path for a new era that promises not only a world running sustainable and renewable energy but also effective measures to store them as well. 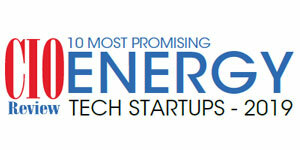 Energy tech startups today have made significant progress in their quest to source and store renewable energy. This progress has opened newer doors for other organizations who can make use of these innovative solutions to become more environment-friendly while also bringing forth more economically attractive opportunities by significantly reducing production costs. Moreover, today cities are also looking at more innovative ways to reduce their carbon footprints. This presents more opportunities for companies that utilize renewable energy sources such as solar, wind, and hydel power, and realizing this, many startup organizations have risen to the task and have come up with newer innovative technological solutions in this field. However, companies continue to struggle to recognize the real potential of energy technology startups in realizing a new high in operational efficiency. To help organizations select the best energy tech startup, CIO Review magazine has come forth with a special edition on Tech Startups. A distinguished panel of prominent CEOs, CIOs, VC’s and analysts, along with CIO Review’s editorial board has assessed a number of energy tech startups and has shortlisted the frontrunners in providing cutting-edge technological solutions in this space. The listing presents the most prominent startups in the energy technology landscape, capable of inventing and innovating for a cleaner, greener and more energy-efficient environment.